We have Japanese language teachers/language exchange partners in the blue area above. We introduce you language exchange partners/Japanese tutors for free. 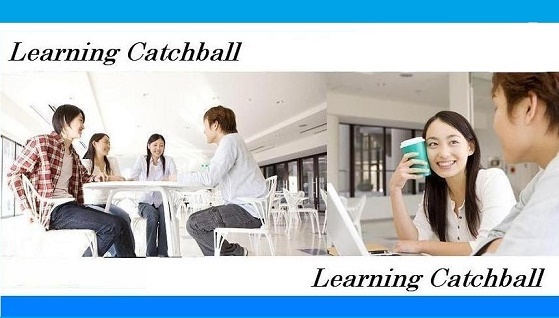 ※Before sharing your email address with our Japanese members,you can check their lesson(language exchange) conditions through us(staff at the Learning Catchball). We never share your email address with our Japanese members without your agreement. So you can be assured that you apply for our introduction service. You can learn Japanese from a private Japanese language teacher/tutor in your area.He/She provides you with Japanese lessons as per your requests. What's the language exchange partner? You can learn Japanese conversation from your language partner for free, in return you need to teach English to your language partner for free . We can arrange serious language exchange partners who are keen to learn and teach language. And you can do not only the language exchange but also culture,cooking,business sports exchange if you like. We would like many people to learn Japanese language, so we have been offering our service to Japanese language learners since 2009. You need to pay the lesson fees directly to your teacher after lesson. If there are not any Japanese language teachers below you like to contact, please join us through the applcation form at the bottom of this page. 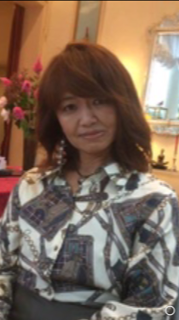 Then we will introduce you a Japanese language teacher who meets your requests. We regularly update Japanese language teacher information. self-introduction Hi(: I've been a Japanese language teacher. I have a qualification.I was working for Japanese language School for 6years but now I'd like to start private lesson and someday I'd like to open my class.I'm friendly and I can improve your language(: English : TOEIC700 . Please click 『please click here and get more information』on each member below, then you can check each member's profile as above. self-introduction I have been working at Japanese language School. I can teach you Japanese as per your requests. I provide you with free trial lesson, so please try my lesson at first. I am looking forward to your contact. 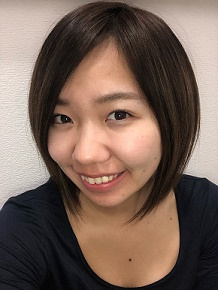 self-introduction I had been working at Japanese language School and currently I am manager of private Japanese classes.I have a lot of experiences to teach Japanese at private Japanese lesson. I can teach you Japanese as per your requests. self-introduction I love delicious food and am good at dancing. I have more than 3 years experience to teach Japanese. I teach Japanese at Japanese language school, firm,private lesson. English level:l:TOEIC850. Korean language:intermediate.I majored in Spanish language. If there are not any members below you like to contact, please join us through the applcation form at the bottom of this page. Then we will introduce you a language partner who meets your requests. We regularly update language exchange partner wanted information. self-introduction I love learning English and want to be able to speak English fluently. Both male and femlale language partners(20～35years old) with native English level are welcomed.I have an interest in yoga,dance,musical,sake. learn I`d like to improve seriously my English conversation skill, especially business scene such as phone call, Interview, etc. I want to become a good communicator for people as a counselor. Please help me practice English speaking! self-introduction Both male and female language partners(30～49years old) are welcomed with advanced English level. Serious language partners are very welcomed. I have many opportunities to talk with international people living in Japan,So I want to improve my English skills more. self-introduction Both male and femlale language partners with native English level are welcomed. I am office worker in Tokyo. I love painting on weekends. I want to challenge something new. learn I want to learn English seriously, because I’m interested in studying abroad! teach My mother native language is Japanese. I’ve thought Japanese to international students! self-introduction I’m 21 years old and a university student in Tokyo, Chiyoda-ku. I major in law.I’ve been looking for a friend who can help me with my English improvement. Of course, I can help you to improve your Japanese skill. My hobby is playing the piano, watching anime(especially, Ghibli, Gintama!) and visiting cafes. Please feel free to contact with me! Only female language partners(20～29years old) are welcomed with advanced English level. self-introduction Both male and female language partners(20～39years old) are welcomed with advanced English level. Language partners who have experiences to teach English are very welcomed. self-introduction I'm looking for a language partner. I would like someone who can chat online or face to face about once a week. I value your reply！I'm happily married. No romance, please. I am going to the UK , so I welcome British English speakers. Both male and female language partners are welcomed. self-introduction I like reading books and I want to be able to understand books written in English.I am looking for a language partner around my age. self-introduction I am a housewife so usually I am free on daytime on weekdays. I really want to be able to speak English fluently. I have been learning it for a long time but I am afraid I cannot move up to another level. And I am also interested in teaching Japanese very much.I have a 16 year-old son. I like dogs and watching foreign TV dramas with my family. ( 24, FRIENDS, FRINGE and so on ). Only female language partners are welcomed with native English level. self-introduction I want to exchange not only language but culture. I am looking forward to contact from language partner who has an interest in Japanese culture. Both male and female language partner with native English level are welcomed. self-introduction I have opportunities to use English at my workplace, but I have few opportunities to talk with native English speakers, so I am looking for a serious female language exchange partner. My hobby is swimming and listening to classic music. self-introduction I am beginner English speakers,I try to do my best to do the language exchange. Both male and female language partners with advanced English level are welcomed. self-introduction I need English conversation skills and reading skill,so I am looking for a language exchange partner.I have been in Canada for one year, so I can communicate in English. Whenever I maka a mistake in conversation, please correct it. I try to do my best to teach you Japanese. I am working at legal office and I have opportnuities to read contract written in English. Both male and female language partners(more than 25 years old) with a native English level are welcomed. self-introduction I am working at a pharmaceutical company and I need to improve my English skill. I have a Japanese language teacher's qualification and have experiences to teach Japanese. I have a 10 years old child. Female language partners around my age with a native English level are welcomed. self-introduction Hi! こんにちは。I'm a Japanese glass artist who currently living in Koto city, and also keen to learn English. I would like to enhance my English skill therefore I'm going to Australia for my next job.Meanwhile it would be appreciate if you help me to learn English grammar. If you are interesting to talk about art, cultural differences, that's sounds like you are an ideal exchange parter to me. I'm looking forward hearing from you.Both male and female language partners with a native English level are welcomed. self-introduction I’m house wife and am looking for female language exchange partner with advanced English level in her thirties to fourties. I have 6 months baby, so I hope my language exchange partner doesn't mind that. I have experience to do language exchange in Canada. self-introduction I live in Setagaya. I am an taking maternity leave now. I have 2 years old boy and 6 months baby boy. I am looking for the study buddy to be able to meet with my baby. I prefer a female partner with native English level in her thirties to fourties. How to start to learn Japanese? StepⅠ:After we receive your application, we introduce you a Japanese language teacher/language exchange partners who meets your requests(available time/area,lesson fee,etc). StepⅡ:After you agree with the teacher's lesson conditions/language partner's conditions, we forward the teacher's/language partner's email address to you. StepⅢ:You can take a trial lesson and decide to take the teacher's/language partner's lesson or not. In case you like another teacher/language partner, then we will arrange another teacher/language partner for you. We are introducing online flash cards about 3,000 words for everyday conversation and 7,500 words for JLPT N1～N5 on our website. We hope these materials help you to learn Japanese with your language partner/tutor. We are introducing 103 free video lessons on our website. We hope these materials help you to learn Japanese with your language partner/tutor. We regularly update free video lessons. Our service is to support each entry person find a Japanese private teacher and language exchange partner(learning partner). you and your teacher/language exchange partner(learning partner). quality of each entry person's character(personality). In case we(Learning Catchball) find your entry information is MLM business or false or illegal, we delete your entry. In case you cause damage on learning-catchball,we(Learning Catchball) do demand payment to you. In case you want to delete your entry information or withdraw from learning-catchball, please contact us soon. We can not accept applicants under the age of 18. After we accept your application form, we ask you about your requests by email. Our e-mail(info@teacher-japanese.com) is sometimes misclassified as spam. So please check your E-mail regularly. Regarding the lesson fee, please select lesson fee you can afford to pay per an hour. ※After you fill in the blank,please click the 確 認 above. ※After you click the 確 認 and check your information,please click the 送 信 . 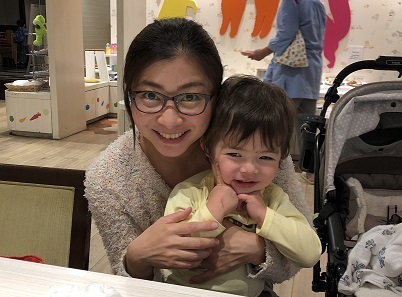 Copyright © 2019 Private Japanese teacher,Japanese tutor,language exchange partner in Tokyo All Rights Reserved.